l’Union soviétique et à l’accès des cinq républiques d’Asie centrale à leur indépendance. 1989 a marqué l’histoire récente de l’Asie centrale. In collective memory the year 1989 symbolises the end of communism in Europe. However, it was not until 1991 that the Soviet Union disappeared and the five Central Asian republics became independent states. Yet from early 1989, even before the fall of the Berlin Wall, several early warning events took place in the region: the defeat and withdrawal of the Red Army from Afghanistan; the cessation of Soviet nuclear testing in Kazakhstan; the outbreak of the first interethnic tensions in the Ferghana Valley; the adoption by each republic of a Law on Language. Many moments that show how the events of 1989 have marked the recent history of Central Asia. 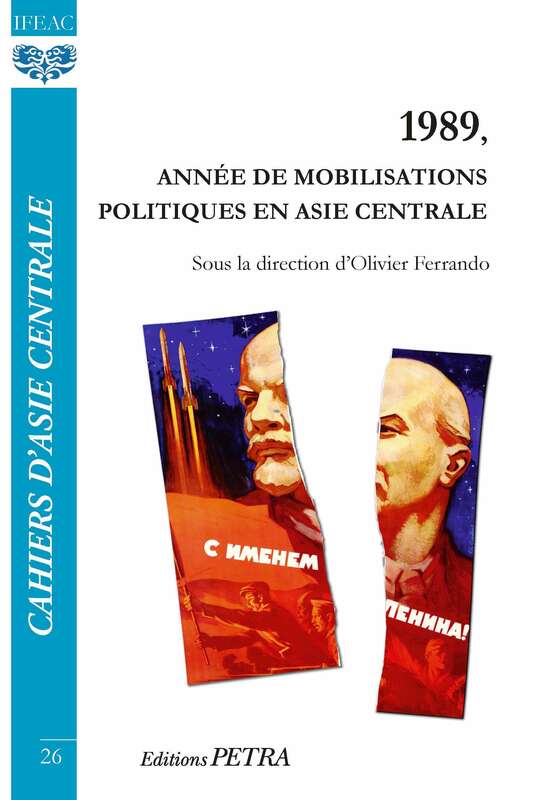 This new issue of Cahiers d’Asie centrale is dedicated to the study of the social and political transformations that took place in Central Asia in 1989, with the aim of understanding to what extent this year, which is so symbolic in world history, constitutes a founding moment of political mobilisation in Central Asia. Covering a wide disciplinary spectrum (history, anthropology, sociology, political science), this issue consists of ten articles written in equal numbers by Central Asian and Western scholars. It provides objective analyses as well as field testimonies of scholars who experienced - and, for some of them, took an active part in - the events discussed here. Divided into three parts, the book first addresses the new forms of political culture and discourse that developed in Central Asia in the late 1980s in the context of the new policy of reconstruction (perestroika) and transparency (glasnost) initiated by Mikhail Gorbachev. The second part of the book explores the process of political mobilisation in Central Asia in 1989, in response to the social, economic and cultural discontent of the population. The third and last part proceeds from this logic of ethnicisation of collective actions, through a review of three tragic examples of violent escalation of political mobilisations.